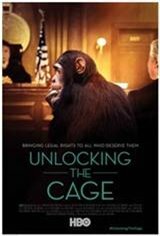 This documentary follows animal rights lawyer Steven Wise on his bold journey to break down the legal wall that divides animals and humans. Steven and his legal team, the Nonhuman Rights Project (NhRP), are trailblazers, making history by filing the first lawsuits that aim to transform an animal from a thing with zero rights to a person with recognized, legal protections. They've been tirelessly working for thirty years to reach this point.